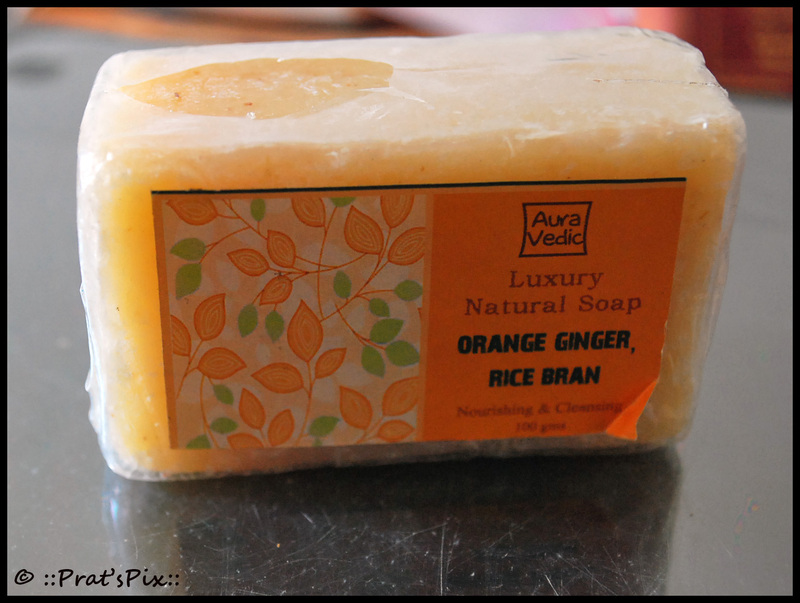 Since my love for soaps is quite well-known, I am sure you would not be very surprised if I posted another soap review 🙂 I am reviewing the Orange Ginger Rice Bran Soap by Auravedic. As mentioned earlier, I have spotted the Auravedic cart in Inorbit Mall and they have such carts in malls over India. I also buy Auravedic products regularly from Natural Mantra. I like to use at least 2 – 3 different soaps so that I do not smell the same everyday! It is a strange habit I know! Anyway here is my take on the soap. I was a tad disappointed especially after I had used their super awesome product Pure lightening Sandal and Turmeric skin polish, which I have already reviewed here. There is a very faint fragrance and I am a person who loves fragrances and I like it to linger on for at least a couple of hours on the body post a bath. The soap contained a natural scrub which was a little harsh on the skin. I have used soaps with scrubs and most of them are very mild. The fact that it was rough on the skin is is something I did not like. Packaging: The packaging is quite simple. It just has the product label with details and a plastic wrap. I wish the packaging was as interesting as Lush or even Rustic Art. Shelf life : Two years from the date of manufacture. Will I buy this again: Not really, I found this to be a little rough on the skin so I may not be buying this again. However, I have ordered for some more soaps from Natural Mantra of Auravedic that I will review as soon as I receive it. The soap lasted roughly 20 days. Where can I buy this? : I bought the soap from Natural Mantra, but some of the products are also available in Goodlife. Auravedic soaps are made using the cold process soap method which allows the soap to maintain its natural glycerin. 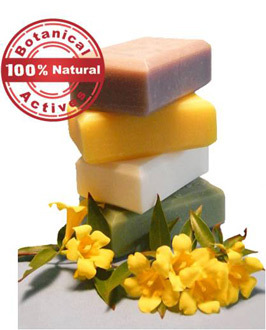 Auravedic natural soaps contain luxurious ingredients that moisturize the skin and delight the senses. Sheer Bathing Pleasure for all. Try Auravedic natural handmade soaps today and feel the difference. Auravedic’s specialty in handmade soaps means that they are able to provide you with soap that is both luxurious and moisturizing. Only the purest raw ingredients are used while making these handmade soaps. Our base ingredients are. coconut oil olive oil and pure essential oils. These Hand-made soaps filled with natural organic oils and botanical ingredients to cleanse, moisturise and nourish your precious skin. The luxurious rich and creamy lather produced by the gentle, long-lasting soaps will leave your skin clean, velvety soft, and lightly scented. Auravedic soaps are free of Parabens, SLS (Sodium Lauryl Sulphate) , Harmful Chemicals and Colors. Ingredients: Saponified oils of organic olive, organic coconut, and organic palm, distilled water,essential oils. Note: The first pic has been taken from the Auravedic site.